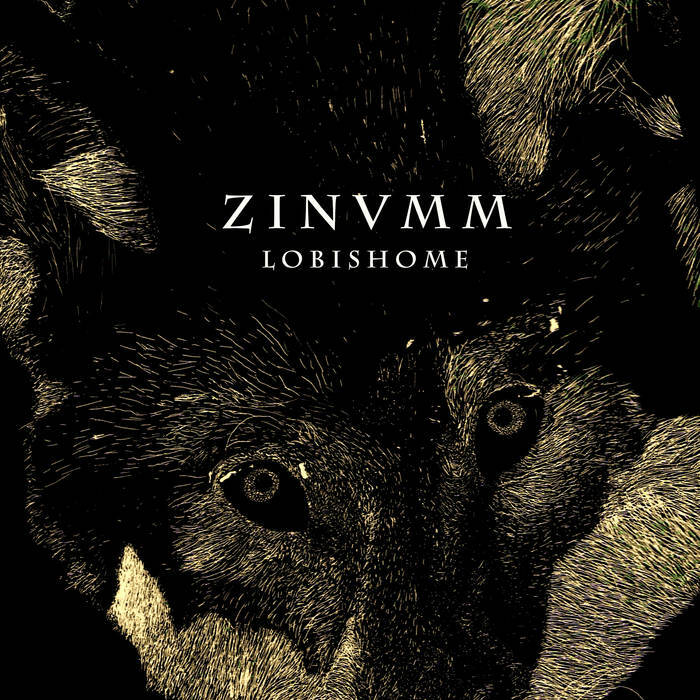 This is a review of another recording from Zimumm with the musical style this time around being raw and primitive sounding black metal with elements of folk music with the ep being called "Lobishome" and released by This Winter Will last Forever. Drums range from slow, mid paced to fast drumming with a good amount of blast beats being thrown into the music, while the flutes and folk instruments bring a very atmospheric, medieval and pagan feeling to the ep along with a brief use of synths which bring in the ambient elements, as for the bass playing it has a very strong and powerful sound with heavy and primitive black metal riffing that dominates throughout the recording. Rhythm guitars range from slow, mid paced to fast black metal riffs that are very raw and primitive sounding with some melody being thrown into the riffing at times and there are no guitar solos or leads present on this recording, as for the acoustic guitars they use finger picking and full chords to enhance the folk elements of the ep. Vocals are mostly grim sounding black metal screams with some spoken word parts being utilized at times as well as a brief use of clean singing, while the lyrics are written in Irish Gaellic and cover werewolves and Northern folk tales, as for the production it has a very dark, raw and primitive sound while you can still hear all of the musical instruments that are present on this ep with only one of the songs being long and epic in length. In my opinion this is another great sounding recording from Zinumm and if you are a fan of atmospheric, raw and primitive black metal with elements of folk and ambient, you should check out this ep. RECOMMENDED TRACKS INCLUDE "Lobishome" and "Oevea, oevea, solitaro, (tenho lobos, tenho sombras)". RECOMMENDED BUY.